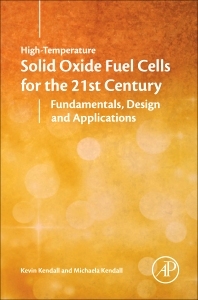 High-temperature Solid Oxide Fuel Cells, Second Edition, explores the growing interest in fuel cells as a sustainable source of energy. The text brings the topic of green energy front and center, illustrating the need for new books that provide comprehensive and practical information on specific types of fuel cells and their applications. This landmark volume on solid oxide fuel cells contains contributions from experts of international repute, and provides a single source of the latest knowledge on this topic. Designers, manufacturers and end-users of solid oxide and other fuel cells: researchers in fuel cell technology; membrane manufacturers. Keele and Akron University, and has worked in research at Joseph Lucas, British Railways and ICI. funding for product development. He is also the founder and chief of the Birmingham start-up company. medal for adhesion in 2005.
major SOFC conference in the UK and is also on the Grove and Fuel Cell Forum conference committees. implementation of fuel cell systems in domestic houses.